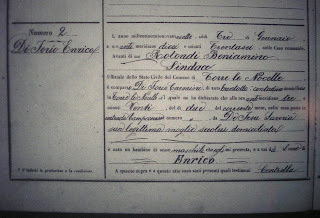 Here you'll find links to the pages of Italian Civil Acts that have been transcribed for the comuni of Torre le Nocelle, Montemiletto and Pietradefusi. This is an ongoing project, so keep checking back for updates. Births, Deaths and Marriages from 1809-1899.